For live updates follow the Parliament live blog here. After accusing the government of not allowing him to speak in Parliament on demonetisation, Congress vice-president Rahul Gandhi on Wednesday said he wanted to speak on a lot of issues and it was to be seen if the government allows it. 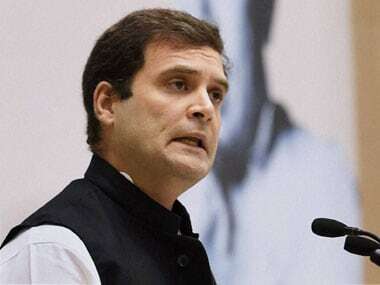 In a joint media briefing of the Opposition parties on Wednesday, Rahul said that he had some "personal information" about the Prime Minister of India, Narendra Modi's involvement in a scam. 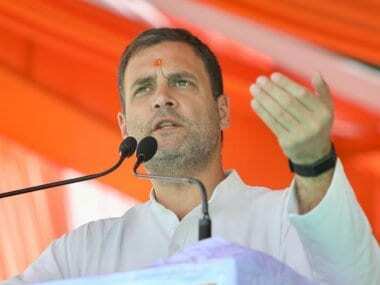 Addressing the media, Rahul Gandhi said, "Modi is very scared because I have personal information on the prime minister. We have told the Speaker that please let us speak in Parliament and it is our political right to speak in Parliament but this government is opposing. Members of ruling government is up in arms and they are not letting the Opposition speak." The Congress leader had said that when he gets a chance to speak about demonetisation in the House, "the Prime Minister will not be able to even sit there...Demonetisation is the biggest scam in the history of India... I want to speak in Lok Sabha. I will tell everything there." Gandhi also said, "If he lets me speak then his balloon will burst...Since the last one month, the entire Opposition is discussing in the Lok Sabha and wants to discuss with the prime minister but they don't want to." "I have come here to speak. Let's see if the government allows me to speak," Gandhi told reporters outside the Parliament earlier on Wednesday. Gandhi said the entire Opposition wants a debate in Parliament and have discussed with the Speaker to allow it while dispensing all rules. "Pretty much unconditionally we are ready to have a discussion, but the government is not interested in having a discussion. 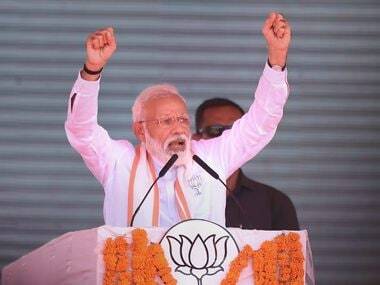 I have already said it before, the prime minister is personally terrified of me being allowed to open my mouth inside the Lok Sabha," he said. He claimed Modi has taken a decision against the poor people of this country and has "destroyed" millions of lives and thus is answerable. He said he has personally taken this decision and he cannot keep running away from the House. Gandhi said the prime minister cannot keep "running away" to pop concerts to public meetings. This is a democracy, he owes this country an explanation and he owes the entire Opposition a space in the discussion in the Lok Sabha, he said. "The prime minister is worried. He goes to pop concerts and public meetings. Why does he not come to the House. For the first time in history, the treasury benches and the government is stalling Parliament. Normally, the Opposition stalls the House. The prime minister should stop taking alibis and he should come to the House and give all of us an opportunity to speak. Then the country should take a decision on whether the Opposition or the prime minister is speaking the truth," he said. TMC leader Sudip Bandyopadhyay, who was accompanied by Gandhi, said the entire Parliamentary system is facing a "threat" as government is not allowing the House to function smoothly and allow the Opposition to speak. "We cannot understand why so much arrogance on the part of the government. The voice of the Opposition is going to be gagged. Parliamentary democratic system is now under threat only to resist that Rahul will not be allowed to speak," he said. He said the government is spreading rumours that after Rahul speaks, the Opposition will not allow the House to function. "It is totally incorrect," he said. Bandyopadhyay charged the government is not allowing the Opposition to speak in Lok Sabha and this was "unfortunate and disgraceful". P Karunakaran (CPM) said all 16 parties came together on the issue of demonetisation and wanted a discussion on the issue, but the government is now allowing this. "Government is not willing to answer questions. The prime minister is accountable to Parliament but has not come to the Lok Sabha. It is very clear that they are not ready to answer the questions raised. The prime minister is running away from Parliament which means he is running away from people," he said. NCP leader Tariq Anwer said this is the first time that such an atmosphere has been created where the Opposition is not allowed to speak. "It is a conspiracy by the government. The entire Opposition is united. What is the government fearing from. We are all united. 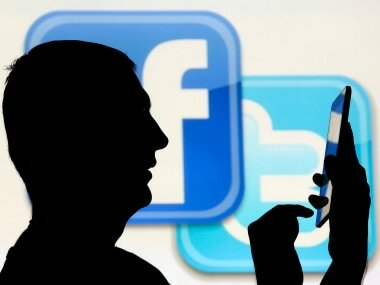 Let us be allowed to speak," he said. Rahul was accompanied by a few other party leaders besides his own leaders in Lok Sabha, including Mallikarjun Kharge and Jyotiraditya Scindia. Earlier leaders of 16 Opposition parties on Wednesday met in the chamber of Leader of Opposition in Rajya Sabha Ghulam Nabi Azad's and decided to launch a united offensive against the government on demonetisation. 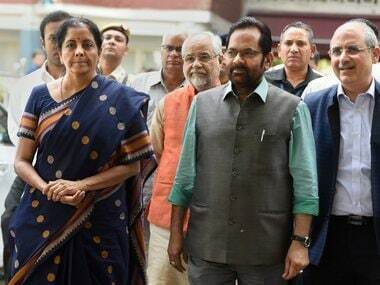 They also decided to launch a united offensive against Union Minister Kiren Rijiju, who is under opposition fire over his alleged role in the "Arunachal power scam". Meanwhile, Parliamentary Affairs Minister Ananth Kumar rejected Gandhi's allegation as "false and baseless" and "very unfortunate". "The allegation was made out of desperation and he (Gandhi) should apologise to the nation," he told reporters. He added that from Day One, the BJP has been ready for a debate, but it is the Opposition that has not allowed the House to function. Minister of State for Home Affairs Kiren Rijiju tweeted that Modi is very scared of Rahul's 'oratory skill'. Union Minister Prakash Javadekar said that they are ready for a debate or any revelation. Gandhi had on Friday last said his party wants debate on demonetisation so that the truth can come to the fore, but the government is running away from it. The Winter Session of Parliament resumed on Wednesday after a four-day hiatus. It has seen little transaction of any substantial business due to ruckus over demonetisation and other issues.